“We’re seeing more and more Australian’s opting for mobile modems in a variety of different situations - from at home to their workplaces,” says David Robles, Marketing Manager ANZ at NETGEAR. 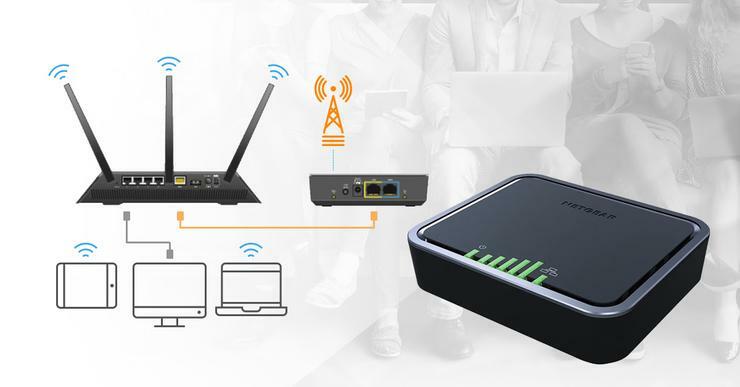 The 4G LTE Modem 2120 provides lighting-fast 4G LTE connectivity for all your devices and equipment at your home or business and can be used as a standalone solution to your needs, without the need for fixed line broadband. With dual Ethernet ports, Netgear say the 4G LTE Modem 2120 is ideal whether you’re a family who loves to stream movies, or a business that needs a reliable connection capable of providing multiple devices instant connectivity, any time, anywhere. NETGEAR’s 4G LTE Modem 2120 can also act as a backup to your primary broadband network for avoiding service disruptions when your fixed wireline connection goes down - a great solution where continuity is critical. Even if your business has DSL or cable broadband, the LTE Modem can run discreetly in the background to provide an automatic 4G LTE or 3G fallback connection during wireline network outages, ensuring business critical functions such as retail POS terminal operations keep moving like clockwork. Unlike other connectivity sources, the NETGEAR 4G LTE Modem can be easily installed in a matter of minutes, making it a practical, instant internet-without-wires solution ideal for situations where fixed line option is not sufficient for your needs or readily available.